Senseless tragedies like the recent incident in Las Vegas are horrifying in their very nature. The team at Legal Heat wants to convey our deepest sympathies to all parties affected. We hope for a speedy recovery for the wounded and strength for the families of the fallen in this time of mourning. 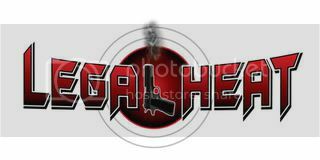 We at Legal Heat are fortunate to have a cadre of professional firearms instructors that include many talented individuals. Several of our instructors have experience and skills acquired through service in law enforcement, and the military, that give them a unique perspective on how to respond to some of life’s most difficult circumstances. We asked Legal Heat Instructor Larry McVay about his perspective on what “civilians” can do to prepare themselves, their friends and their families should they find themselves in an active shooter situation, like the recent tragedy in Las Vegas. Larry is a freshly retired FBI special agent who has deep expertise leading FBI SWAT teams as well as training SWAT teams all over the country to respond to Active Shooter incidents. In addition to the aforementioned credentials, Larry also completed the rigorous operator selection program for the FBI’s national tactical counter-terrorism team serving on the Hostage Rescue Team (HRT) as a tactical helicopter pilot. Larry has served overseas, both in the US Army (Airborne, Air Assault, Pathfinder, Ranger) as well as managing close security and executive protection operations for the U.S. Attorney General (AG). Larry was responsible for the AG’s travel security locally, nationally and globally, to include forty different countries and two combat theaters. Given Larry’s unique qualifications, we wanted to know how he thought someone might best prepare should the unthinkable happen. Please understand this is not meant to critique, or armchair quarterback, any of the victims of the tragic events in Las Vegas. Our intent is simply to learn what we can from past tragedies, so that we can help avoid similar tragedies in the future. Too often people will “turn off” mentally when going out into the public for a music concert, sporting event, church or even something as innocuous as an amusement park. For the “legally armed citizen” this should never happen, even if going to a venue that does not allow for concealed carry of a firearm. Terrorists as well as active shooters/murderers are naturally drawn to venues that have a large gathering of people in a congested and confined area. Many of these types of venues will have erected barriers to contain the population/audience that in turn also hamper first responders attempting to get into the venue to stop the killing and prevent the dying. One of the biggest problems that people encounter, particularly those untrained or “unseasoned” individuals is recognizing an active shooter event in progress. The sensors of the body may become aware of something not right, but the mind will try and categorize the inputs as something that is familiar. In the recent Las Vegas shooting, many people in the kill zone wanted to believe the gunshots they were hearing were only the sounds of fireworks. It could also be that many people just simply did not hear the gunshots because of the volume of sound coming from the performers on stage and the crowd’s response to the music. In any event, at the first inkling of “something’s not right” phase, it is imperative that people do at least the following three things: Recognize, Believe and React. 1) Recognize the sound of gunfire for what it is. Do not try and convince yourself otherwise or “justify” the sound away. Most people live in denial when confronted with a life or death situation. Don’t be that person. 2) Once recognized, the mind must immediately believe and accept the danger that comes with gunfire. The time for deliberation is over and should be minimized through deeds. It is paramount to anyone wanting to prepare for this type of tragic event to know where the closest exits are located at any given venue. Give yourself multiple options by finding several different exits and filing them away in your mind. This goes for any venue you may find yourself in – restaurant, shopping mall, bar, stadium, etc… Keep in mind that almost everyone will remember the main entrance to a venue. After all, they just came through it. Most will instinctively want to run for that entrance because of its familiarity and known location. Resist that temptation and opt for an alternate exit that you have previously scouted. If possible, keep obstacles between yourself and the herd. Aside from an active shooter, one of the biggest dangers in a crowd is the crowd itself. The herd mentality of a panicked crowd can be as dangerous as an active shooter or a fire emergency. Know the difference between cover and concealment and, if possible, use either to assist your movement to an exit. Cover is a substantial object that will stop a projectile and hide your presence. A brick wall provides cover. Concealment is an object that obscures you from view, but will not stop a projectile. A tent, or a bush provide concealment, but not cover. If the option presents for choosing a location within a venue, choose to be near an exit or preferably, two or more exits thus opening up more options for escape. While it is true that an active shooter can use an exit to gain entry, time and time again it is shown that active shooters generally walk right through the front door. Choose designated meeting places for both inside and outside of a venue for your group in case of separation during an emergency. This will help with accountability post-incident and can speed up the process of getting away from the threat. The last thing someone should be thinking about is going back into a kill zone to attempt to locate a lost child or spouse. If armed, avoid the temptation to “go hunting” for an armed shooter. Remember, as a civilian, your role should be to take care of family and yourself. If you can assist others along the way while escaping, do so. Lastly, it should be obvious that while everyone enjoys a good time at a concert or other entertainment venue, limit the intake of alcohol such that you don’t reduce your capacity to respond appropriately during an emergency. 1) A small but powerful flashlight – better yet, have multiples of the same spread out through your group. 2) A small individual first aid kit (IFAK) containing the bare essentials for traumatic wounds. A tourniquet and a pressure dressing bandage will go a long way towards saving a life and they can take up very little space. Another consideration to have along is a gauze roll and perhaps some quick clotting material. Keep in mind that overall, this is a very small package that can easily be tossed into a purse, back pocket, or even some purpose built holsters that one can wear at one’s ankle. Anyone rocking a CCW (even if they are not allowed to carry their firearm at a venue) should maintain such an IFAK. If you are justified and responsible enough to make holes in someone to stop the killing, you should be equally responsible enough to plug holes as well to stop the dying. Have additional first aid equipment in your vehicle. The most important “accessory” to have along, medically speaking, is the training to go with those medical supplies. 3) It’s a great idea to go into any venue with a fully charged cell phone and extra sets of vehicle keys for each adult in the vehicle. If there is the possibility of escape, instinct will draw you to your vehicle as a means of escape. Have keys. Better yet, have multiple keys. If someone in your group sustained an injury and you can evacuate them quickly, do so. Don’t wait for EMS as they may be overwhelmed by a mass casualty event. 4) Know where the nearest hospitals with a Level 1 or Level 2 emergency room are located. Pre-program them into your GPS and have a good idea of the general direction they are in from the venue site. As a back up to your GPS, it is also wise to have a city map when in an unfamiliar territory with the venue site and nearby hospitals located and identified on the map. This is an especially good idea if you happen to be attending a venue that is located outside your normal stomping grounds. All of these preparations are not time consuming nor are all these that are listed meant to be all encompassing. Most of this planning is normal, or should be normal, in everyday life. The bottom line is that any plan is better than no plan. Once you put a plan in place, it is easy to modify your existing plan to a new venue.